“The creation of something new is not accomplished by the intellect but by the play instinct,” the Swiss psychologist Carl Jung wrote in Psychological Types (1921). The embrace of play by US designers in the post-war era—a time of Cold War anxiety, a growing middle class and increased interest in child development—is explored in the show Serious Play: Design in Mid-century America, due to open later this year at the Milwaukee Art Museum. Following the Second World War, designers “hungered for something that was more than just rational and functional”, says the show’s co-curator Darrin Alfred of the Denver Art Museum, where the show is due to travel next year. 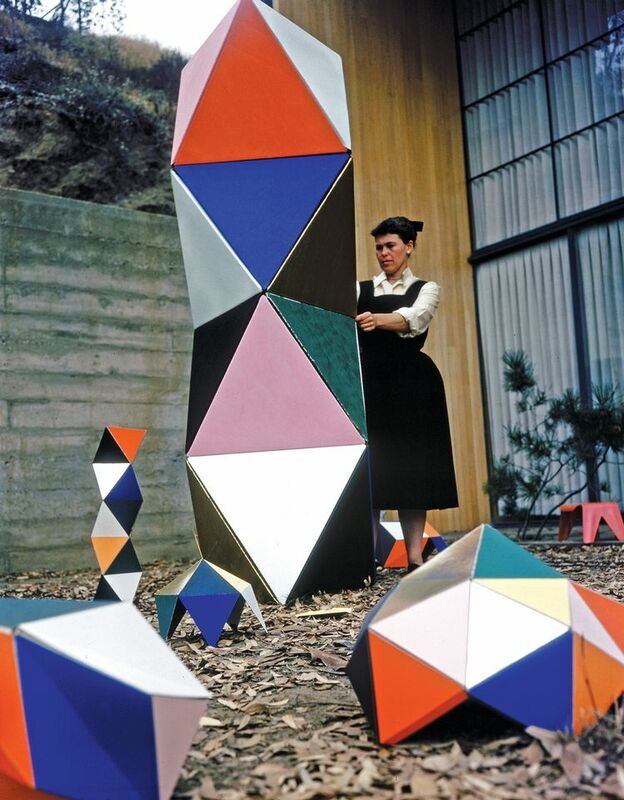 “They effectively blurred the boundaries between their work and whimsy.” More than 200 works will be shown, from furniture, textiles, toys and ceramics to drawings and maquettes by designers such as Charles and Ray Eames, Paul Rand, Eva Zeisel and Alexander Girard. The show’s three sections look at design in the home; in the commercial sphere, including handmade dolls by Marilyn Neuhart; and design for children, such as playground equipment by Isamu Noguchi. The children’s section will also feature hands-on exhibits, such as new reproductions of the architect Anne Tyng’s Tyng Toy, a modular building system designed in the late 1940s. 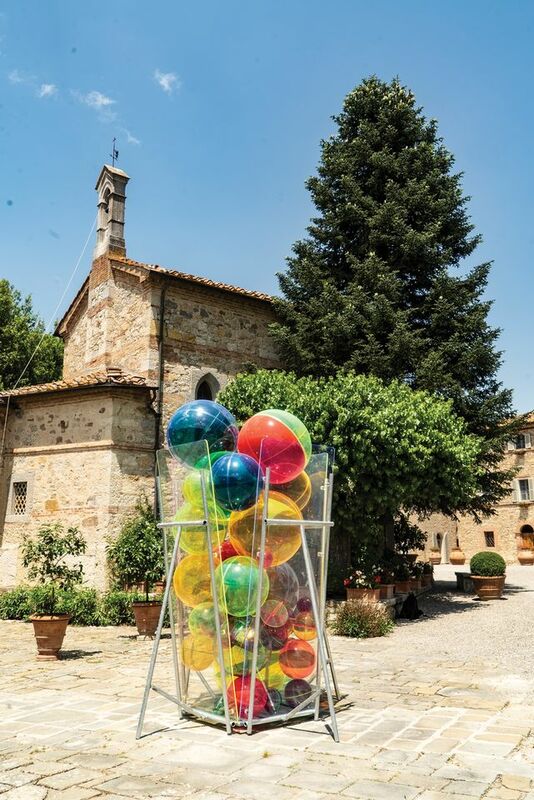 From Sylvie Fleury’s iridescent magic mushrooms to Alfred Pirri’s brightly coloured Plexiglas spheres, the third edition of Art of the Treasure Hunt sees playful contemporary works by 13 artists installed in Chianti wineries in Tuscany. The initiative was founded by the art collector/patron Luziah Hennessy. Works on display were selected for how they “trigger reflection on time”. Raúl de Nieves’s beaded figurative sculpture The Temptation (2017) reclines across barrels of wine, while Magdalena Abakanowicz’s ‘Bambini’ (1998-99), comprising 83 grey concrete children figures, stands in a courtyard. The Bundeskunsthalle in Bonn, Germany, is taking a serious look at play with The Playground Project, a summer exhibition that invites visitors to skateboard, build Lego, sing karaoke, and show off their skills at ping pong and table football. Installations by 18 artists, including Olafur Eliasson, Carsten Höller and Ina Weber, are on show in the outdoor section of the exhibition, which encompasses the forecourt, façade and roof of the museum. The indoor section is curated by the Swiss political scientist, city planner and playground expert Gabriela Burkhalter and explores the history of playgrounds through photographs and text. Michel Majerus’s huge skateboard ramp is hand-painted with stencils and contains quotes, words and sentences that can only be read in full from the museum’s rooftop garden. Thomas Schütte’s abstract garden gnomes are an homage to Oskar Schlemmer’s Triadic Ballet. Eliasson’s Collectivity Project encourages visitors to collaborate to build constantly changing structures in white Lego. 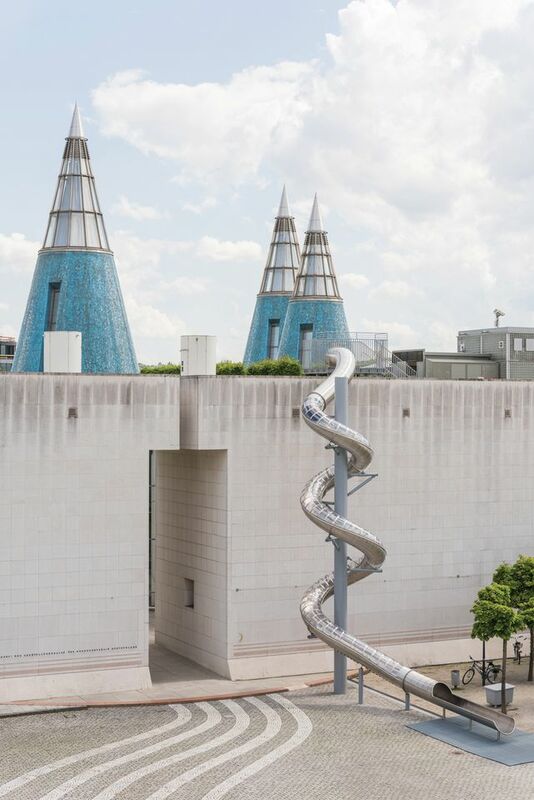 Rirkrit Tiravanija’s polished stainless steel ping-pong tables and Weber’s table football—featuring female players—add to the fun, while Höller’s slide allows visitors to whizz down the façade of the museum and will remain in place after the exhibition is over. Among the exhibits is a giant takeaway box of the type often used for Chinese food, created by the Norwegian duo Aurora Sander. But instead of lunch, it contains swim noodles that children can fish out of the box to play with. Inside the café, Adam Harvey and Anastasia Kubrak’s Data Pool Party messes with your mobile phone’s geolocation technology, virtually transplanting you to the Silicon Valley pools of billionaires like Jeff Bezos and Larry Page. A range of performances, children’s workshops and theatre are planned over the summer—including an underwater sound installation in the children’s pool by the artist Damjanski. 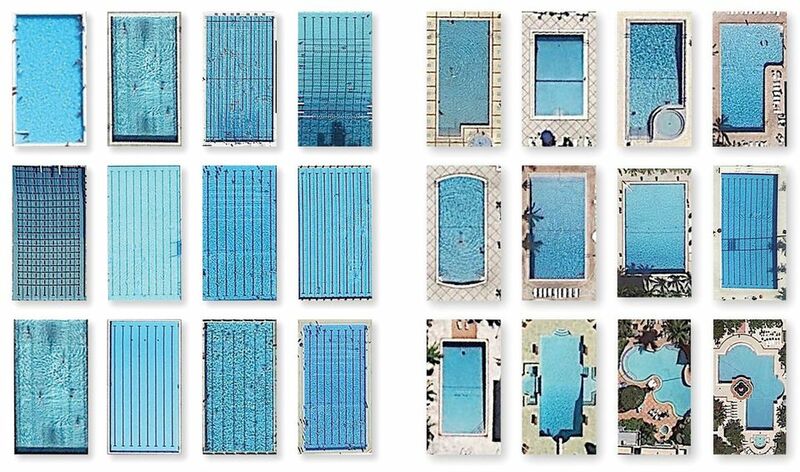 His work mimics different ocean currents and bathers must get in the pool to listen. The US artist Trenton Doyle Hancock, whose work has drawn upon a large collection of action figures and other toys that he started amassing as a child, has turned to toy making himself. 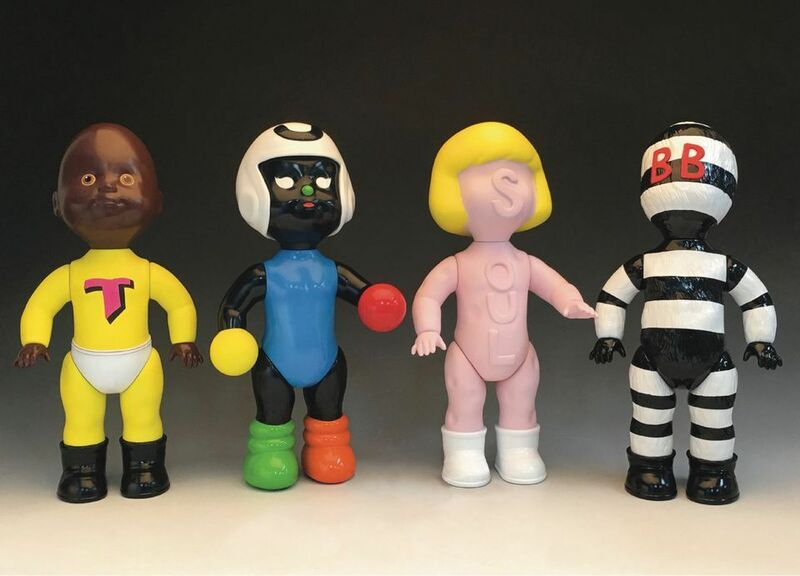 Hancock’s most recent exhibition, Moundverse Infants, at Temple Contemporary at the Tyler School of Art in Philadelphia (his alma mater) included a new range of Moundverse dolls he made during a mentorship with the recent Tyler MFA graduate Tim Rusterholz. Framed around the 1930s Clark Doll Test that demonstrated African-American children’s internalised racism in their preference for white dolls, the show also paired white dolls from Hancock’s collection with black ones from the Philadelphia Doll Museum. 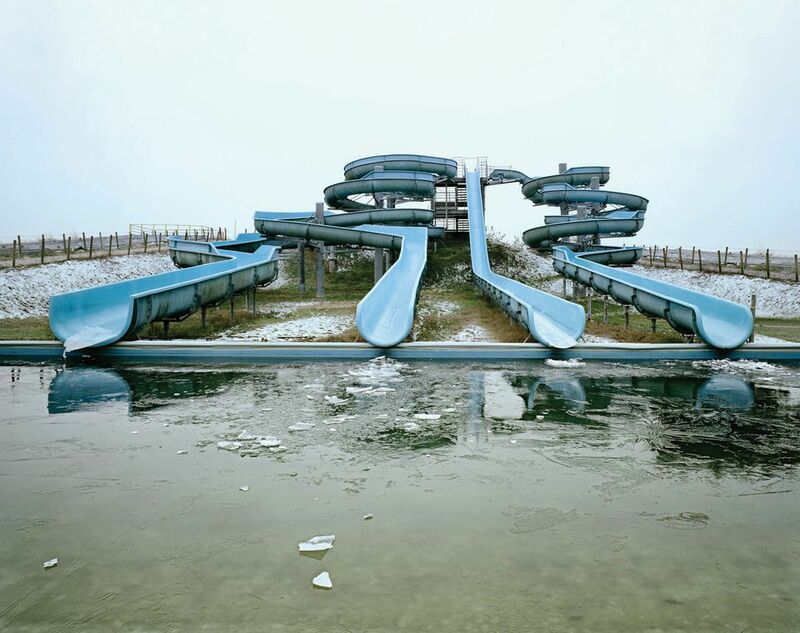 Acquapark (2011) by Stefano Cerio is one of 30 photographs that, along with two video works, were included in Amusement Places at the Pignatelli Museum in Naples. The exhibition was the culmination of ten years of research on amusement parks, drawing on previous bodies of work such as Acquapark (2010), Cruise ship (2012) and Chinese Fun (2013). “These places were created to be used by millions of people,” Cerio says. “I photograph them when they are empty but there is still a sense of human presence in these images”.